Chhatrapati Shivaji Maharaj Vastu Sangrahalaya. 159/161 Mahatma Gandhi Road, Fort, Mumbai 400 023, India. Curators gallery, First floor, Extn wing. "The Fulbright experience has transformed my research, art and life forever. 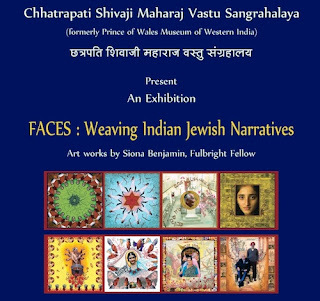 With the help of the Fulbright fellowship I conducted a 4-month project to explore and reveal the various Indian Jewish faces of India in a visual art exhibition. heritage before their existence becomes a cultural relic of India."